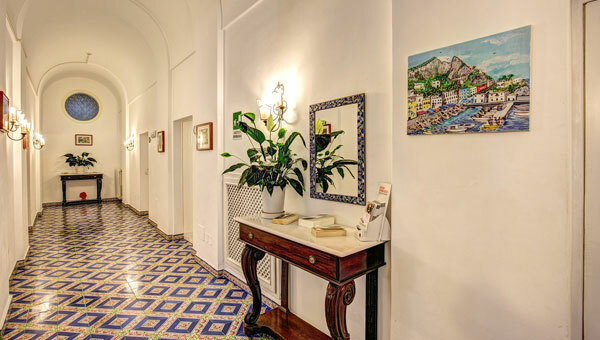 The 3 star Hotel Casa Caprile Capri has 21 rooms and suites, we can offer you an eclectic mix of history and modern convenience during your stay. All of our rooms are furnished and decorated in a classical Mediterranean style and will be sure to keep you contented during your stay! 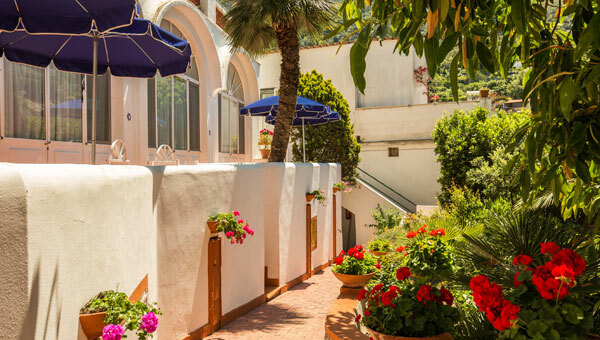 Check the Hotel Capri Casa Caprile Real Time Booking page now to get up-to-date prices, special offers, availability and for instant booking. NOT SUITABLE FOR THE PHYSICALLY IMPAIRED - In order to reach the hotel you need to climb 30 steps, so unfortunately it's not ideal for the physically impaired. AIR CONDITIONING All superior rooms and suites are provided with air conditioning; in the standard rooms air conditioning is available upon request at no extra charge. We can also offer you a telephone, sky television, as well as heating and air conditioning in the superior rooms, the suite, the Villa Sole apartment and in the standard rooms upon request. Some of our rooms come with either a balcony or a terrace where you can enjoy a wonderful sea view or a view of the surrounding park. Our 3 star Capri hotel offers value for money accommodation that is not too often found on this small millionaires' playground island and is an ideal getaway for those guests who want peace and quiet mixed with the Italian climate and beautiful surroundings. Don't let this put you off if you prefer a more active holiday however, we are also an ideal destination for those who wish to get out and explore the island and be more energetic!